“The book helps fans to relive the past, look back at an era where some great individuals came together to take Indian cricket forward,” writes Nayan Basu. Reading ‘A Century Is Not Enough’, Sourav Ganguly’s autobiography (co-authored with Gautam Bhattacharya) was about reliving the past. A sense of nostalgia, a Déjà vu dawned upon me. As someone who has followed the man from his first Test at Lord’s (1996) to his last one in Nagpur (2008), watched every match he played for India, read and heard every possible interview of his, followed his commentary over years, I thought I knew it all about his cricketing journey. That was what I believed until I read the book. The book takes you a lot deeper, into his mind. The mind of a cricketer, a captain, a leader. 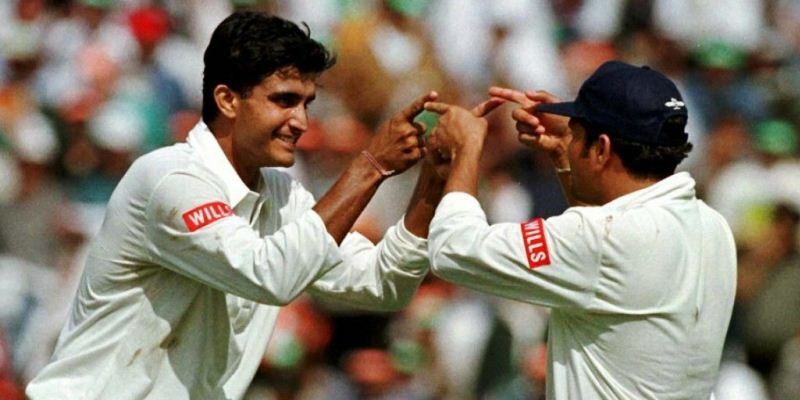 The day Sourav announced his retirement, he surprised his fans in a big way. Yet, the book does talk at great length about his anguish over his retirement call as a cricketer. True to his career which oscillated between high and low, ecstasy and pain, his scored 85 in the first innings and 0 in the second innings, in his final match against Australia at Nagpur. The book covers his captaincy period (2000-2005) in great details, highlighting what went behind the scenes towards making of a solid team that could compete against any opposition anywhere in the world. The stories of building ‘Team India’ are inspiring and they give us a sneak peek into the head and mind of an Indian captain who kept the interest of Indian cricket ahead of everything else. Ganguly had a splendid career spanning over a decade and half in which he accumulated 18,575 international runs, 171 wickets and 132 catches; and as a skipper he was instrumental in steering Indian cricket from the dark alleys of match-fixing to the glorious days the team saw in the following years. He mentored players like Virender Sehwag, Zaheer Khan, Harbhajan Singh and Yuvraj Singh who later went on to achieve greater goals for India in international cricket. For fans and lovers of the game, however, it might not seem enough. As a fan one would have loved to get a detailed perspective of the 2001 Test match against Australia in Eden Gardens. That match, which for many in India, remains a special one – a single victory that changed the course of India’s cricket. The book could have had more details about what went inside the dressing room — the thinking within the team, the decisions taken, and the mindset players were in while the match was on — and Sourav Ganguly would have had the best view of the whole situation. India won many games under him, and some of them have been close matches. A little more insights into those close encounters, specially the 2002 Champions Trophy game against South Africa, NatWest Final in 2002 at Lord’s, the World Cup outing in 2003, would have helped fans understand what goes on inside the mind of a captain while leading his country. If you are a Dada fan and followed Indian cricket during his tenure as captain, this book is for you. If you love Sachin Tendulkar, Rahul Dravid, Anil Kumble, VVS Laxman, Virender Sehwag, Yuvraj Singh, Zaheer Khan or any member of the side during the time, this book is for you. Because like a true leader, Sourav Ganguly credits every member of his team at various stages of the book for their contribution towards Indian cricket.